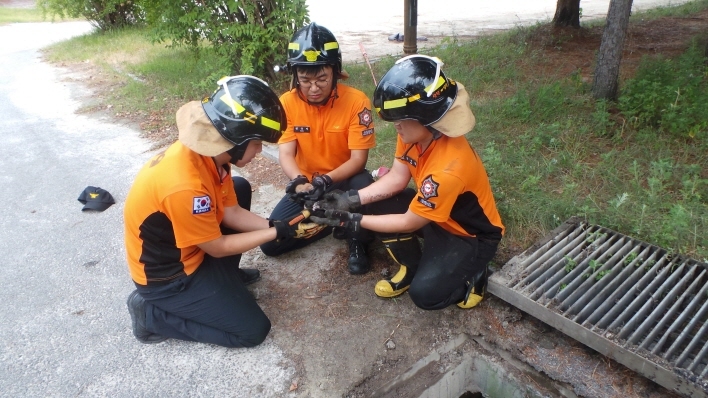 ICHEON, Aug. 7 (Korea Bizwire) — On Monday, four kittens trapped inside an underground drain system in Icheon, Gyeonggi Province were saved by a team of firefighters. 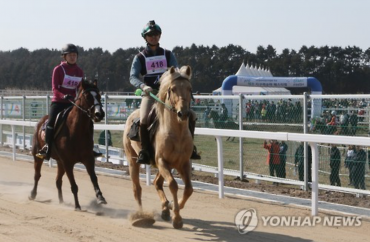 One neighborhood resident heard kittens crying near the outdoor drain system beneath the ground while walking within the Janghowon-eup Sports Center compound before calling emergency rescue workers for help. 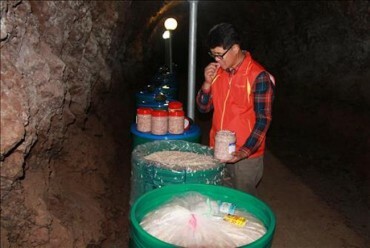 Rescue workers that rushed to the site descended into the drain, which is 1.5 meters deep, to save the four little kittens trapped inside. The kittens still had their umbilical cords, prompting speculation that they had just been born. A rescue worker said that the mother of the kittens was nowhere to be found nearby. 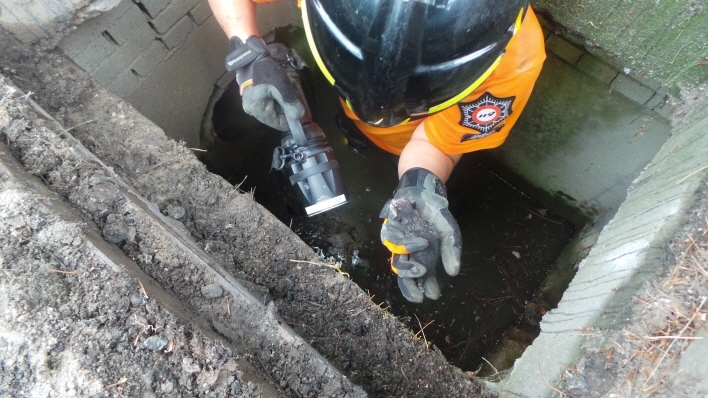 “A pool of water had formed inside the drain, and the kittens were prone to infectious diseases in the water, which is why we had to save them,” said the rescue worker. The emergency rescue center is expected to hand the four kittens over to an animal shelter.